It’s difficult to get a username of our choice while signing up for gmail account. Most of us use a character or a number with our username to get a unique address. Do you know that adding a dot(.) 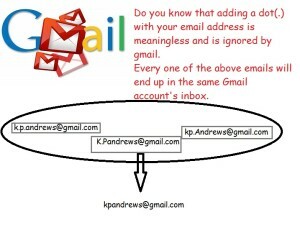 with your email address is meaningless and is ignored by gmail. Same goes with the capital letters. 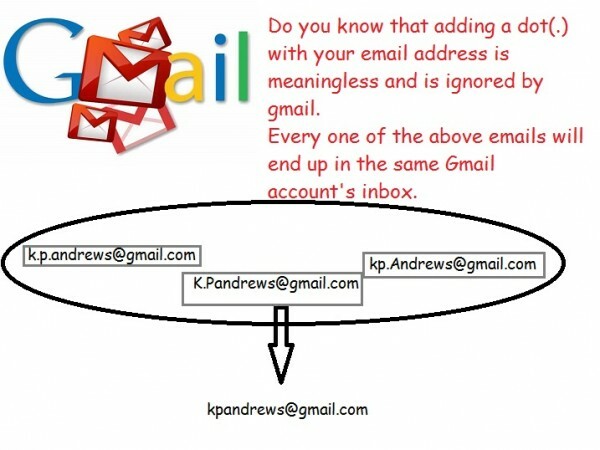 Every one of the above emails will end up in the same Gmail account’s inbox.